Colleen Bauer, owner of Bakersfield-based Fairy Godmother Events, dresses as a 1920s flapper for the Padre Halloween Murder Mystery Party her company planned. Bauer is seeing more companies book murder mysteries for team building. When Colleen Bauer started her Bakersfield event and wedding planning business, she had no idea that her fairy godmother would make her dreams come true. A regional bank officer who was climbing the corporate ladder, Bauer had been organizing her company’s events for years. It was a natural extension of growing up in a family of four girls and having a mother constantly planning parties. But it was in 2009, when Bauer served as the chairwoman of the Bakersfield Women’s Business Conference, that she was inspired by fellow board members and event partners to start her own event planning company. She chose Fairy Godmother as the company’s name because it was what her niece, Elise, called her. When a co-worker announced she was getting married in 2010, Bauer offered to plan the event as a wedding gift. Weddings were the start of Fairy Godmother’s list of services that included such things as holiday and birthday parties. As Bauer continued to work at the bank, rising to the level of senior vice president, her business grew. Bauer has assembled a team that includes event producers, designers, marketing specialists, office assistants and even officiants, when needed. Although she continues to plan and execute some events, Bauer focuses on staffing and operating the business. Her years of experience in the corporate world also has allowed her to expand services to helping businesses with grand openings, employee events, holiday parties, business dinners, client or employee appreciation events, incentive/award trips, company picnics, trade shows, sales training and annual meetings. Bauer said she is seeing an increasing number of company officials opting to bring in an expert to take care of details. She also is seeing planned themed events, such as “murder mysteries,” used as elements of company team-building strategies. “The first murder mystery we did was for a fundraiser, but since then, we have had several businesses book us for team building using these parties,” she said, adding that solving a murder mystery is not only fun, it encourages employees who may not regularly interact to work together. But as Bauer’s Fairy Godmother grew, so did the need to improve the company’s business operations. And for that, Bauer turned to the Small Business Development Center at California State University, Bakersfield. Bauer encourages local entrepreneurs to seek the help of SBDC consultants. “It’s like having a mentor and business coach — someone pushing you and looking out for you; someone challenging you to be the very best you can be,” she said. 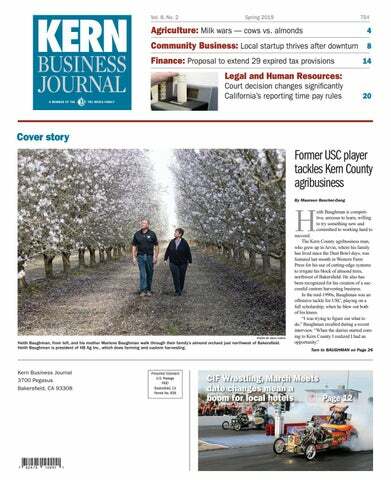 The center at CSUB assists entrepreneurs and small-business owners in Kern, Inyo and Mono counties by providing free consulting, small business training and research. For more information, go to www.csub.edu/sbdc.